When we go to celebrate a party always want that our living room is the most precious, colorful and fun as possible, so that all our guests as someone who is celebrated to enjoy to the maximum of that celebration. A task that appears to be very easy to perform, but sometimes we do not have clear ideas about how should or should not decorated. Therefore, we want to give you some few tips on decorating for parties that we think can be helpful for that special day. The first thing you have to define is the kind of party, that is, if it’s a birthday, if you are celebrating an anniversary or any other celebration. And the fact is that the type of party what takes you to the next step. Now, well, regardless of the reason for the party, you should always have the basic accessories, in this case the balloons and streamers that are elementary and will never be more at a party. Prepares a list of the things you’ll need, first on the list are balloons and streamers do not forget, after this, if you choose a theme, then the list must contain all the necessary accessories to achieve it, napkins, plates, glasses, ornaments, which have to do with the theme that you have chosen. If there is no theme and it is a free party, then opted for colorful accessories, colored glasses, color napkins, with some reason for either gentleman, lady, or children. The party decoration also includes the menu, in any kind of party the snack is essential, place fried dishes on the tables, and a source of drinks is also required if you’re going to do a celebration where there will be alcohol, make sure also have drinks that do not have this item, not all people drink alcohol. A table in the center of the room or at one end of this with various snacks that can serve as a snack is very good choice. 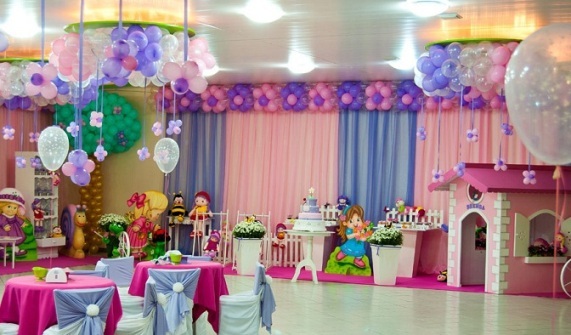 A table for gifts can be placed next to the snack table, this must also be decorated with a distinctive tablecloth, the wall should also be decorated with figures representing this celebration. Music cannot be missing at a party, choose music that fits with what is being celebrated, respect the motives of the celebration is vital if it is a children’s party for example, respects the music, which should be 100% for child.